The U.S. 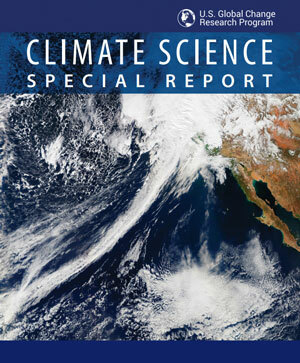 Global Change Research Program, a consortium of 13 federal agencies and 60-member federal steering committee, today (Nov. 3) released the Climate Science Special Report (CSSR), the most comprehensive look at climate science and its effects to date. Katharine Hayhoe, the director of the Climate Science Center at Texas Tech University, is one of the lead authors of the report. The CSSR is part one of the Fourth National Climate Assessment (NCA4), a required quadrennial assessment authorized in 1989 by Congress in the Global Change Research Act (GCRA) of 1990. Hayhoe, a professor in the Department of Political Science in the College of Arts & Sciences, authored the chapter on climate models, secenarios and projections, and co-authored the chapters on temperature trends and the potential for surprises in the climate system. Also released today is the public review draft of the second part of NCA4, which addresses regional and sectional impacts. Hayhoe served as a lead author on this report as well, authoring chapter two, "Our Changing Climate.” She previously authored the Second and Third National Climate Assessments, and NCA4 builds on those findings. 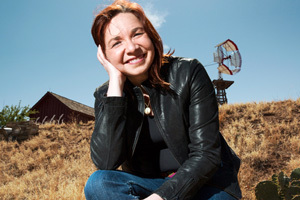 Hayhoe is considered one of the world's leading experts on climate science. Her research focuses on evaluating future impacts of climate change on human society and the natural environment by developing and applying high-resolution climate projections. She also presents the realities of climate change by connecting the issue to values people hold dear instead of being confrontational with scientific facts. Earlier this year, she was named one of the 50 World's Greatest Leaders by Fortune Magazine, which honors men and women across the globe who are helping to change the world and inspire others to do the same. She was named in 2016 to the annual Politico 50 list, which recognizes those in society who help shape policy and thinking in the U.S.
Hayhoe reaches a global audience as well through the KTTZ PBS Digital Short Series "Global Weirding,” an online series that focuses on exploring the arguments, science, religion, culture and psychology where politics and climate change intersect. The series produced 10 episodes in season one, and the second season premiered in September. To view the CSSR, go to its website.